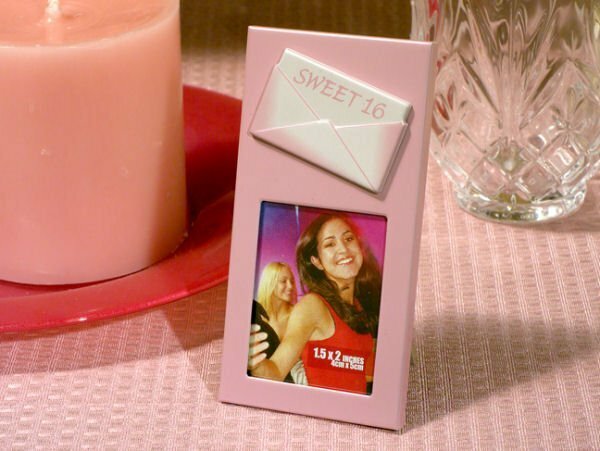 Send out special birthday wishes with these unique photo frame favors. 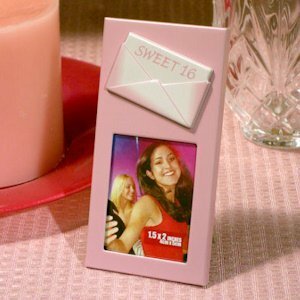 Each pink photo frame has an embossed envelope on top, with the words "Sweet 16" on the letter that is peeking out of the envelope. There is room for a 1 1/2"x2" photo inside the frame that measures 2" by 4". Each frame is individually packaged in a black bottom gift box with a clear top. I'm sorry, it's only available in pink.